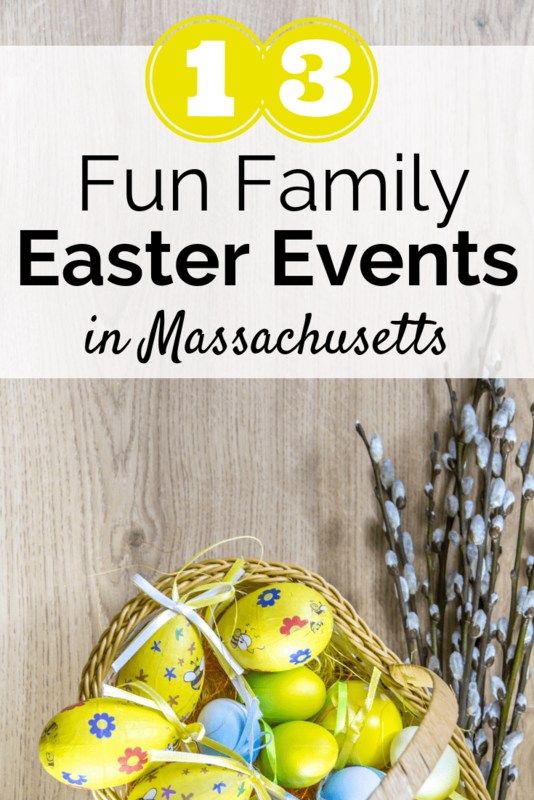 If you live in Boston – or around the rest of Massachusetts – and want to have some family fun this Easter, you’ll want to check out this list of festive activities. 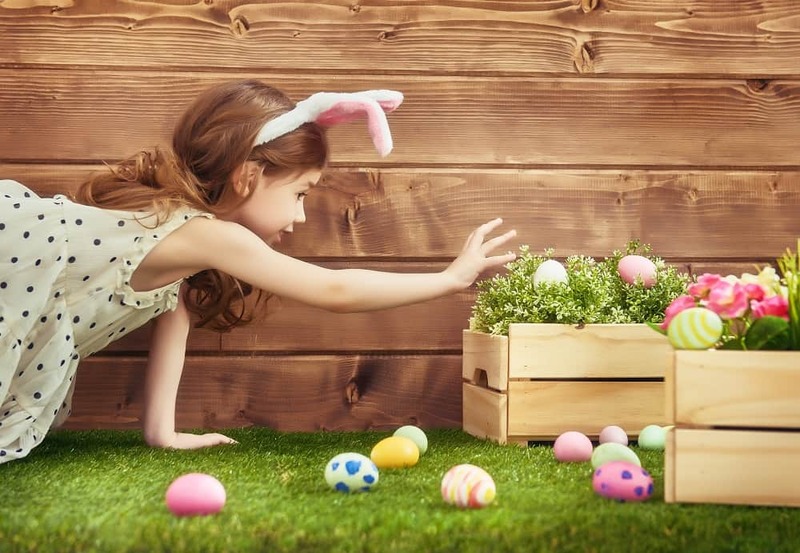 You and the kiddos can enjoy some amazing memory making moments when you attend these family-oriented Massachusetts and Boston Easter activities. This annual tradition features a classic Easter egg hunt in the Roslindale neighborhood of Boston, specifically for kids 2-6. The hunt will take place outdoors, unless there is too much snow or mud on the ground – in which case the format shifts to egg hunting at local businesses. Head to Cambridge for this family fun Easter activity where you’ll skip hunting for eggs and instead hunt for Easter bananas! The event will start with reading an Easter story, followed by the hunt, and is geared towards kids age 2-6. The 2019 event will take place on Friday, April 19th from 11:30am-12:15pm. Tickets are available online, and admission is $3.18 per child (and no fee is required for adults – woohoo!). If you’re looking for something a bit different to celebrate Easter-time in Boston, try this truffle making workshop! It’s designed for adults and kids age 5+. They’ll provide chocolate ganache, and you’ll roll it into an egg shape, cover it up with white fondant, and decorate it! And they even offer a vegan option if you need that. This event takes place Saturday, April 20th 2019 at The KITCHEN at Boston Public Market. Tickets are $28 per Trustees member and $35 per non-member (general ticket). If you have a visually impaired child, this is an amazing event offered by Perkins. They have egg hunts taking place this year on Saturday, April 6th at both 11am and 1pm in Watertown. Not only is the hunt designed specifically for children with visual impairments, but it also is stroller/wheelchair accessible, and there are sensory-friendly options. Children will be able to hunt for eggs throughout the hotel. There will also be a petting zoo on site with farm animals, along with arts and crafts – and a decorate your own cookie station! Head on out with the family to enjoy the Stone Zoo in Stoneham, MA this April, where the kids can enjoy tons of Easter festivities. There will be crafts, games, bunny encounters, zookeeper chats, and more. And don’t forget to get your photo taken with the Easter bunny of course! North Shore Bible Church in Danvers is hosting a “make your own Easter basket” event. Kids will receive an empty basket and then can go around the room to fill it up with candy, toys, and goodies until it’s all full! The event will also have additional activities like games, face painting, and cookie decorating. This year it takes place on Saturday April 13th from 11am-1pm. The event is free, but you should register your kiddos in advance. This Easter event places a broader emphasis on celebrating the season of spring and new life on the farm! Kids are able to visit different stations to learn more about the journey of from egg to chicken. As they visit each one, they’re also able to collect Easter eggs too. Located in Ipswich, MA this annual Easter egg adventure takes place on April 20th this year from 10am to 12pm. It’s recommended for kids age 2-6. In addition to the activities mentioned above, there will also be homemade refreshments, face painting, visits with animals (bunnies, sheep and goats) and games! Admission for the event is $24 for member families and $30 for non-member families. Not only will your kiddos get to do a traditional Easter egg hunt, but the whole family will be treated to a variety of activities. There’s hot dogs, snacks, bounce houses, face painting, crafts, and more. The event will take place this year on Saturday, April 13th, 2019. In lieu of any admission fees, they recommend brining a non-perishable food item that will be donated to local food pantries (gotta love events that give back!). I was surprised that a mall event was actually free, but this one at Solomon Pond Mall in Marlborough appears to be! Kids can enjoy breakfast and crafts together at the mall, followed by a special visit from the Easter Bunny. After that, they can visit the stores for special treats. This year’s event takes place on April 6th from 9am-12pm. Every year you can count on Winslow Farm and Sanctuary to host their Easter egg hunt. For 2019, there are three weekends where the event will be taking place: Saturdays and Sundays from 11:30 AM to 3:00 PM on April 6 & 7, April 13 & 14 and April 20 & 21. This event is located in Norton, MA and is open to all ages. Admission is currently $10 for all adults and all children age 2 and up. This is non-competitive Easter egg hunt where kids get to find eggs all over the farm, and there are also animals around for viewing (but not for interaction). They’ll also be hosting an Easter Egg Hunt on Saturday, April 20th from 2-3pm. Kids will hunt the store to find 3 eggs and then redeem them for candy. Ages 2-4-year old Easter Egg Hunt – 2:15 p.m.
Ages 5-7-year old Easter Egg Hunt – 2:45 p.m.
Ages 8-10-year old Easter Egg Hunt – 3:15 p.m. This year, the event will take place on Sunday April 14th. This is a free event, but you must register in advance to ensure a spot. They only have enough goodies for 200 children so be sure to secure your spot online. In addition to the egg hunt, there will also be games and snacks too. 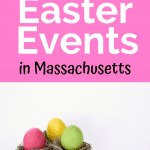 There are many other local town and city Easter egg hunts happening in Boston and throughout Massachusetts – it’d be crazy to try to list them all! Be sure to check your local town website, local church websites, and recreation center’s sites to see if they are hosting events – many of which are likely free. You can also browse Facebook events to see what’s going on near you too! Check out our posts on fun Easter activities for preschoolers and healthy Easter treats you can make with your kiddos! Share: What Boston Easter events – or Massachusetts events – are you looking forward to attending? Do you like the egg hunts, or other family activities?